In his well-reviewed 2018 novel “Immigrant, Montana,” Amitava Kumar recounts a story that sounds very similar to his own: A young Indian man moves to New York City and struggles, often comically, to start his academic career, find love, and to fit in. 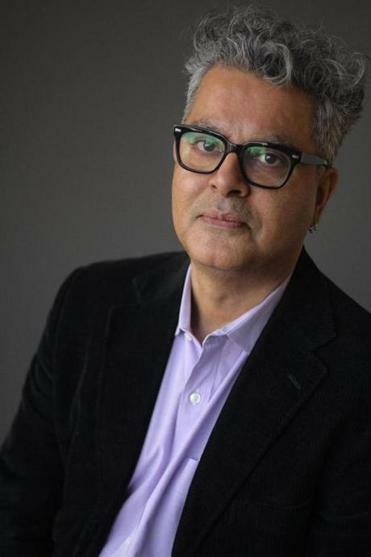 A professor at Vassar College, Kumar joins fellow novelist Amit Chaudhuri on Wednesday, Feb. 13, at 7 p.m. at Brookline Booksmith. BOOKS: Do you have time for personal reading while you’re teaching? KUMAR: It is difficult. Right now I’m writing a piece for the New Yorker on the Indian writer Perumal Murugan, but I did most of that reading over Christmas break. I have to confess that I assign books for class as an excuse to read them for myself. BOOKS: Who have you added to your syllabus this year? KUMAR: I added Ottessa Moshfegh’s short story collection, “Homesick for Another World.” I wanted to know more about her voice, which is very idiosyncratic, so just two days ago I finished her novel “My Year of Rest and Relaxation.” She’s so unafraid to be vicious. She has no truck with [politically correct] politeness. BOOKS: How would you describe the kind of books that draw you? KUMAR: I recently have become very interested in novellas. The idea of a short thing encompassing something large is amazing to me, for example Denis Johnson’s novella “Train Dreams.” It is epic. Another example is Michael Ondaatje’s “Coming Through Slaughter,” which is based on Buddy Bolden, an early jazz player in New Orleans. During a visit to Michael’s house when I was on a book tour in Canada, he showed me a book called “Bento’s Sketchbook” about drawing and seeing by John Berger. I bought that as soon as I got home. So for the past six weeks I’ve been reading that a little every day and drawing every day. BOOKS: Are there Indian writers you wish were better known in the United States? KUMAR: This summer I had a fellowship at the Bellagio Center in Italy, and I took one book with me, U.R. Ananthamurthy’s “Samskara.” It’s about a fallen man who’s committed a sin and whether he is redeemable. That question so fascinates me. The novel is a classic and should be better known. If Dostoevsky can be read by Americans, why not Ananthamurthy? BOOKS: What book would you give someone who wanted to read about India? KUMAR: In nonfiction Suketu Mehta’s book on Mumbai, “Maximum City,” cannot be bettered with its reportage. In fiction, I just saw the writer Upamanyu Chatterjee, who wrote “English, August.” It was published 30 years ago but I think it’s the best, funniest book about India. It’s also one of the best books to come out of the subcontinent. BOOKS: Which books do you think do a good experience capturing the immigrant experience? KUMAR: In nonfiction, I know books that fail at it. In fact Peter Brimelow’s “Alien Nation” was so narrow minded, so full of hate and malice, it inspired me to write my first book, “Passport Photos.” I wanted to produce an account that brought some humanity to the lives of those of who cross borders. BOOKS: Has the current debate about immigration inspired any reading on your part? KUMAR: The debate is primarily tied to what I think of a broader campaign of disinformation. So one of the books I’ve used in my syllabus is Olivia Laing’s novel “Crudo.” This is one novelist’s response to the current political climate. That is what I’m thinking about, how to produce critical fiction without being dull or pedantic. BOOKS: How have you changed as a reader? Follow us on Facebook or Twitter @GlobeBiblio. Amy Sutherland is the author, most recently, of “Rescuing Penny Jane’’ and she can be reached at amysutherland@mac.com.